Put pork tenderloin in a ziploc bag. In a separate bowl, mix all the remaining ingredients until well blended and pour into the ziploc bag. Marinate for as long as you can - overnight, if possible. Remove pork from the plastic bag, reserving the marinade. Bake in a 400 degree oven until the pork reaches an internal temperature of 135 degrees. While the pork is cooking, boil the remaining marinade from the bag for at least 10 minutes. Remove pork from oven and cover with foil for 10 minutes. The pork will continue to cook and reach 145 degrees. 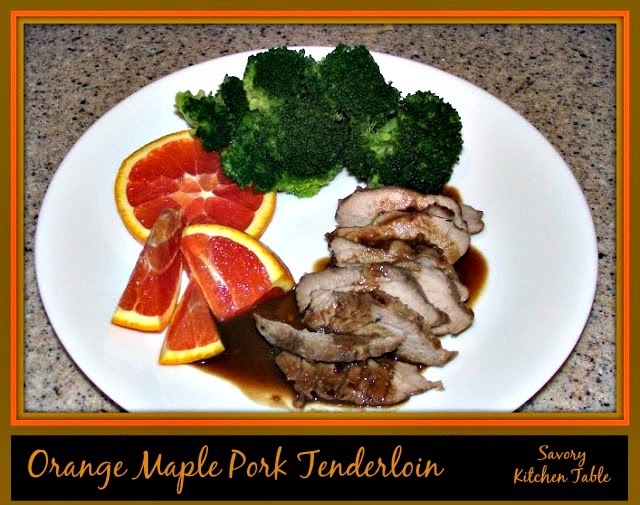 When the pork is finished, slice and serve with the marinade as a sauce.